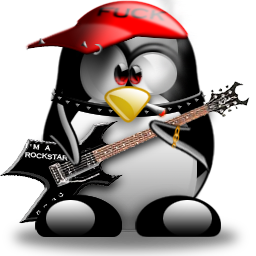 Amarok is the most faved Music Player in Linux for many. Even we here at Digitizor use Amarok as our default music player while on Linux. Though Amarok has a decent number of built-in scripts, it still lacks a decent script (plugin) for fetching music lyrics from the web. Since people listen to foreign music too, it becomes very important that they have the lyrics also available. In this article we will tell you about a Lyrics Plugin for Amarok that fetches lyrics from multiple sources for songs of any language. Amarok does come with a default lyrics plugin that fetches lyrics from lyricwiki. But the collection of lyrics at lyric wiki is not that extensive and the plugin has been facing problems off late. This calls for a solution and so we have the Ultimate Lyrics Plugin for Amarok - the Ultimate Lyrics Plugin itself. As in the name of this lyrics plugin is Ultimate Lyrics Plugin. You can get this plugin from KDE-Apps. Using this plugin you can randomly see lyrics from multiple websites. You can change the website for lyrics from the Reload Button. The lyrics are taken from multiple sources such as lyricstime, lyricsreg, seeklyrics, mp3lyrics, jamendo, azlyrics, songlyrics, elyrics, lyricsdownload, lyrics, lyriki, lyricsmode and more. First download the script on your system. To install this script you need to go to Tools > Script Manager > Install New Script in Amarok. Now specify the path of the downloaded plugin which will be in .tar.gz format. You need not decompress the package. Just specify it's path to Amarok's Script Installer. Now to use the script, all you need to do is goto Tools > Script Manager and disable the default Lyricwiki plugin and enable the Ultimate Lyrics plugin. The settings for this plugin can be configured from Settings > Ultimate Lyrics such as lyrics search sources and styling the lyrics.